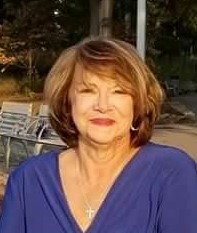 Gloria Ann (Gabriel) Sutton, Smithfield, Pa.
Gloria Ann (Gabriel) Sutton, 72 of Smithfield, Pa. died unexpectedly on March 21, 2019. She was born January 18, 1947 in Brownsville, Pa.
Gloria was predeceased by her parents, Gary “Cubby” Gabriel and Irene (Tomotchko) Gabriel and a brother, Joe Striker. Surviving are her husband, Glenn Sutton; children, William (Gail) Russell, Gary (Anna) Russell, Kim Russell, Tammy (Scott) Sutton and Bobbi Jo (Jeremy) Sutton; grandchildren, Joshua Russell, Jacob Russell, Andrew Russell, Katie Russell, Alexis Watson, Jordan Kilo, Talia Russell and Kate Russell; sisters, Bobbie Jo Marucci, Tina (John) Johnston, Sandy (Jake) Murray and Lori (Aaron) Eicher; many nieces and nephews and her special pets, Bella and Jersey. Gloria enjoyed doing crafts, history, ancestry, travel, movies, reading, yard selling and watching Dr. Phil. The family will greet friends and family in the Dean C. Whitmarsh Funeral Home, 134 West Church Street, Fairchance, Pa. on Monday from 2 to 4 and 6 to 8 p.m. and on Tuesday, March 26, 2019 from 9 to 10:00 a.m. The funeral service will begin at 10:00 a.m.